The Black Diamond Poker Open starts next Sunday at Ignition Poker and consists of 147 tournaments guaranteeing in excess of $3 million in prize money. Unlike online poker players in the rest of the world, players in the States have been starved of a decent tournament series so far in 2017. That´s all about to change thanks to the Black Diamond Poker Open that starts this coming Sunday (March 12th) at Ignition Poker. This is the sixth time that the Black Diamond Poker Open has been played – it was previously hosted on Bovada and Bodog Poker – and, to mark the occasion, Ignition Poker has themed its series around the number six. 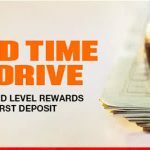 All of the events in the Black Diamond Poker Open start at six minutes past the hour, the site´s regular Sunday feature event has had its guarantee increased by $6,000, and there is even a Sixth Anniversary Special Event in the series schedule with a guaranteed prize pool of $66,000. One of the major attractions of the series is the amount of guaranteed prize money that is up for grabs – and how it is distributed between the 147 tournaments. Many of the recent RoW tournament series seem to have had one major Main Event contributing to around a third of the series guarantees. 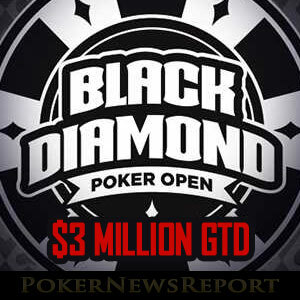 However, all of the Black Diamond Poker Opens have got decent guaranteed prize pools, with the Main Event contributing less than 10% of the total series guarantee. Incidentally, the $300,000 guaranteed Main Event is scheduled for Sunday April 9th at 5:06pm (ET). Furthermore, there are some decent guarantees in non-NLHE tournaments that will likely attract players with a preference for different formats of Omaha. In total, there are thirty-six Omaha-based events, ranging from the standard Pot Limit Omaha, to Fixed Limit Omaha and a rather intriguing No Limit Hi/Lo Omaha event on Friday April 12th. Throughout the series, some of the more popular events have “mini” versions scheduled on the same day to avoid excluding players with smaller bankrolls. For example, on the opening day of the series, there is a $109.00 buy-in 6-Max Turbo NLHE event with a guaranteed prize pool of $25,000. One hour earlier, a $22.00 buy-in 6-Max Turbo NLHE event gets underway with a $5,000 guarantee. 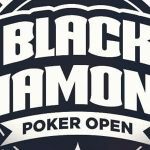 The accommodating nature of the Black Diamond Poker Open continues throughout the whole series and, despite there being a comprehensive satellite schedule for all the events, there is even a “mini” Main Event on the final Sunday of the series with a $75,000 guaranteed prize pool. There are also events scheduled in the series with low buy-ins starting at $16.50. One further advantage to relatively new players is that all the events in the Black Diamond poker Open will be played on Ignition Poker´s anonymous tables. This means that other players will be unable to rely on poker software to make their decisions for them, and the players more likely to win the lion´s share of the money will be those who use their natural ability to play ABC poker. If you are not already playing at Ignition Poker, now is the time to get involved (assuming you are located in the United States). Ignition Poker offers new players an exceptional first deposit bonus up to $1,000 that is cleared on a sliding scale that makes it easier to redeem the early stages of the bonus and tougher and your skill levels improve. There is also the opportunity to take advantage of a casino bonus up to $1,000 as well. To find out more about these opportunities, head on over to our Ignition Poker review. 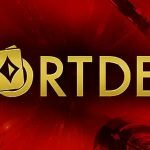 There you will find further information about the advantages of playing at Ignition Poker and why, if you fancy taking part in the Black Diamond Poker Open, using Bitcoin to fund your account can be a viable deposit option. However, whatever funding option you use, be sure not to miss the Black Diamond Poker Open at Ignition Poker from next Sunday.